Kit features high quality stainless steel tools that are great for the professional at work or for any home bar. 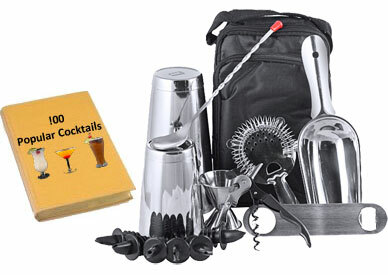 This professional quality bartending set will ensure you have everything you need to pour proper drinks. Makes a great gift for your favorite bartender. With this kit you’ll have everything that you’ll need to shake, layer, build and stir the great tasting drinks.